Less than a month after the Association of Southeast Asian Nations (ASEAN) celebrated its 50th anniversary in Manila, Philippines, the UN Security Council called on the government of Myanmar to end its military campaign against the minority Rohingya Muslims. If the region continues to overlook widespread human rights abuses, political stability and economic growth will be at risk. Each year, tourists descend on the many resorts, shops and convenience stores that have come to form the backbone of the beach town of Bangsaen, Thailand. In 1967, however, Bangsaen was an isolated, little-known village on the brink of becoming a landmark of Asian diplomacy. It was here that five foreign ministers from Indonesia, Malaysia, the Philippines, Singapore and Thailand negotiated and signed the Bangkok Declaration for the foundation of ASEAN, with the purpose of ensuring the stability of the entire Southeast Asian region. Fifty years later, the organisation has ten members, and ten additional dialogue members that include India and China. 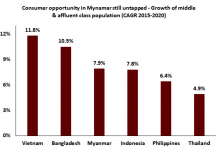 Asian economic growth consistently leads global figures, and its populations and enterprises are projected to continue to prosper for decades to come. 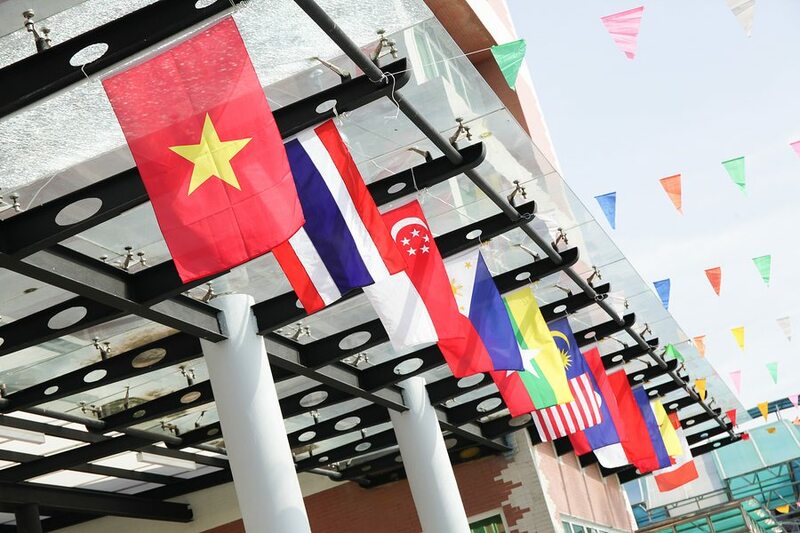 On its silver jubilee, ASEAN remains firmly dedicated to boosting security in the region, with ongoing tensions over the South China Sea and immediate nuclear threats from North Korea forming the pillars of member discussions. Even so, the organisation has thus far failed to address pervasive human rights violations committed by member countries, with critics warning of rising authoritarianism in the region. In Myanmar, this month has seen longstanding ethnic tensions erupt into bloodshed after minority Muslim Rohingya fighters attacked police posts and prompted a military crackdown that has seen over 370,000 Rohingya flee their homes. 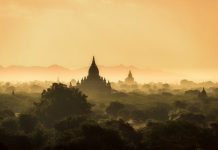 The Rohingya face widespread discrimination and violence at the hands of a Buddhist majority, though the group had received chronically little press attention before recent weeks. Adding to their isolation, the government has repeatedly refused to permit UN investigators entry to the country. Even so, the Rohingya have been labelled the most persecuted minority in the world, at risk of genocide, with the community fleeing in the thousands to Myanmar’s neighbours- especially Bangladesh, Malaysia, Indonesia and Thailand. Despite this, host countries typically refuse to grant Rohingya refugees any legal status; in the weeks before the current escalation, India was in talks with Myanmar and Bangladesh to deport 40,000 Rohingya Muslims. 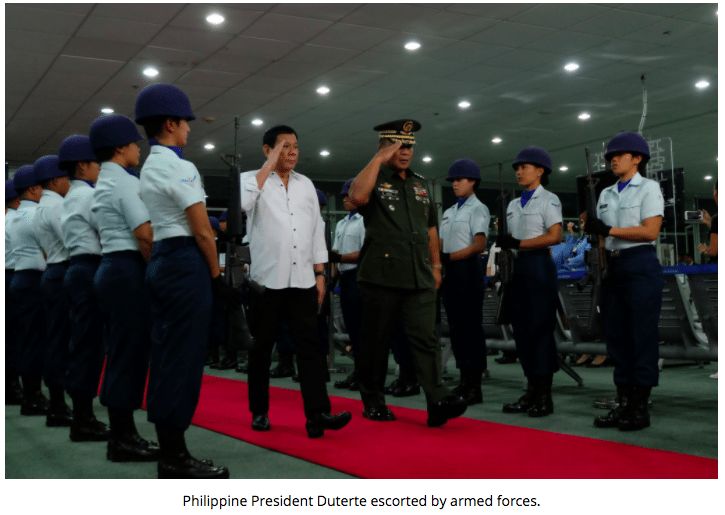 In the same vein, the Philippine President Rodrigo Duterte has refused to discuss the topic of human rights abuses with the US Secretary of State and, given the US-Philippine partnership targeting a military insurgency in the Philippines’ southern island, social justice advocates would be foolish to hold their breath. This despite the fact that since Duterte’s so-called war on drugs began last year, widespread violence has resulted in the deaths of some 5,000 to 8,000 people. Duterte has also blocked the UN from conducting an independent investigation into the violence, thus far labelling his critics “crazies” and insisting that he shouldn’t be trivialised by upholding human rights standards. With sustained approval ratings, his campaign to reintroduce the death penalty may indeed be successful; the violence continues unchecked. In Vietnam, authorities have broadened a crackdown on dissidents in recent years. In July this year, prominent human rights defender and activist blogger Tran Thi Nga was sentenced to nine years in prison on charges of conducting propaganda against the state in accordance with the controversial Article 88 of the penal code. The law has proven an effective tool of the government in silencing activists, along with reports of government sanctioned harassment and intimidation techniques. Authoritarianism in the region runs counter to the otherwise liberal economic goals of Asia’s rising tigers: Vietnam has embarked on a decade-long campaign of labour and market reforms in a bid to attract foreign capital, with FDI flows rising as much as 6 percent in the first half of 2017 to $6.15 billion. At the same time, the Philippines’ Duterte is embarking on an ambitious goal of infrastructure spending at 7 percent of GDP, valued at $160 billion, by 2020. 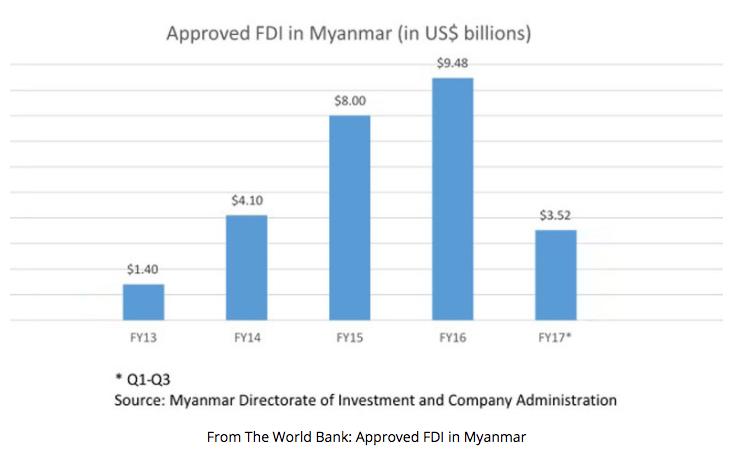 Bordering Bangladesh, China, India, Laos and Thailand, Myanmar represents a mammoth of untapped economic potential, but FDI flows will remain volatile as long as the bloodshed continues. In most cases, human rights abuses are tied to failings in judicial independence, indicative of state support of illegal activities and poor protection for firms who seek to conduct transparent operations. Moreover, repression of the media and journalists frequently goes hand in hand with unsustainable, unbalanced economic development, such as a dependence on raw materials and energy resource revenues. Poor governance throughout the Asian region, combined with skyrocketing economic growth and a burgeoning middle-class, sets the stage for political and social discontent to emerge in the near term. As the ASEAN community has become more integrated over the past fifty years, there has been increased pressure to implement the organisation’s vision of a “people-centred” community of nations. The finalisation of the ASEAN Charter at the end of 2008 sparked debate about utilising grassroots participation and bolstering civil society groups- in response, the group articulated the ASEAN Vision 2015, setting lofty goals for the widespread protection of human rights in a just, democratic environment. The stark reality of 2017 shows a clear trend in the opposite direction, and a disturbing reticence on the part of ASEAN’s leadership.